AFR correspondent Matthew Namee talks with His Grace Bishop Basil, the newly elected Secretary of the Episcopal Assemblies. We learn of his impressions of the historic May 26-28 gathering in New York as well as the assignment he has been given to coordinate the work of the committees that will be formed leading up eventually to a Great and Holy Council. Announcer: On May 26th-28th in New York City, a historical gathering of Orthodox bishops occurred that was called the Episcopal Assembly. Fifty-five bishops from every jurisdiction were together with the goal of correcting, eventually, a canonical anomaly. At this Episcopal Assembly, Antiochian Bishop Basil from Wichita was elected the secretary with an assignment whose scope belies the title. The Secretariat, which will report to Bishop Basil, will take on the huge task of coordinating the work of committees to address the many issues that must be considered before a Great and Holy Council can be convened. Our Ancient Faith Radio correspondent and the host of the American Orthodox History podcast, Matthew Namee, sat down with His Grace Bishop Basil at his chancery in Wichita. Here’s Matthew Namee. Matthew Namee: I’m privileged today to be sitting here with His Grace Bishop Basil of Wichita, the new secretary of the Episcopal Assembly. And His Grace has graciously agreed to sit down and chat with me a little bit about the Episcopal Assembly and the process and his own impressions of it, and so thank you very much for your time, Syedna. And first of all, could you just tell us a little bit about what your impressions were of the meetings? What was it like to be one of the hierarchs there? His Grace Bishop Basil: Before I do that, I just want to thank you for being interested in Episcopal Assembly. It’s been about two weeks now—two, two and half weeks—since the Episcopal Assembly ended, and the enthusiasm that was surrounding the assembly seems to have dwindled a little bit since the assembly ended. I don’t know what it was that people expected us to do at the assembly, but something very exciting happened. And I think it’s important that we do talk about it, and that the enthusiasm continue and that it builds. It was a very historic event in that—unlike Ligonier which was self-motivated. You know, that came from the bishops here in the United States and Canada at that time. We convened ourselves—SCOBA convened that meeting for us to define ourselves and to discuss our own ministry here. The Episcopal Assembly is very different in that we were called to this assembly by the Mother Churches and given specific tasks. That was not self-driven or even self-motivated, and in that, it’s a very historic meeting. We’ve been sitting back for decades now waiting for the Mother Churches and in some instances even criticizing Mother Churches for being inactive or inattentive. Well, they’ve not been inactive or inattentive. They’ve been having their preconciliar meetings. Perhaps we were a little bit impatient with them. And now, the time has come, and they gave us very specific tasks. And it’s not just us in the New World that got the tasks. It’s all the Orthodox that are outside the “historic” geographic territories of the Mother Churches. So, all of the Orthodox in Western Europe, in the New World, in Australia, in Oceania, the Far East, have been given tasks by the Mother Churches. The atmosphere, that first day, I think was a combination of excitement. We knew this was a historic event as we gathered. It was interesting because there were so many new bishops since our last gathering. Again, it was a SCOBA-sponsored event in Chicago, our last gathering, but so many new bishops since then have been consecrated or assigned here to this country. So we were busy meeting each other. What was evident besides that excitement of just meeting brother bishops was the goodwill. I think that’s a description that characterized the entire assembly for those two days. It was palpable, the goodwill. It didn’t mean there weren’t some rough spots or some levels of uncomfortability, I guess, because we were discussing very serious matters, but the goodwill was palpable. Everyone wanted this thing to work. Everyone was willing to lay aside their own agendas to see what the agenda was that the Mother Churches had presented to us, and it’s a very serious agenda that was given to us. So I think the atmosphere was wonderful. It was evident in the meetings. It was a little bit more stayed in the meetings because the meetings, of course, were organized in a very business-like manner, but it was especially evident during mealtimes and during the breaks. The bishops delighted in being together and doing the work of the Church. Matthew: You mentioned the agenda that was given: the purpose of the assembly. Could you maybe talk a little bit about that? What are we doing with this? Bishop Basil: The assembly has planned obsolescence in it. The assembly will only last until the convening of the Great and Holy Council. I don’t even know if we’re going to incorporate ourselves legally. That wasn’t discussed, but I can’t imagine us having a need to legally incorporate ourselves when, God-willing, we’ll go out of business very soon. Again, that’s not within our purview to decide when that will happen. The business that was given to us to attend to, the task that was given to us to attend to, first of all, was to define our region. As Father Mark Arey and others have already reported through various means, the hierarchs of Canada have asked that they constitute their own distinct Episcopal Assembly, and the hierarchs of Mexico, which is geographically part of North America, and those which have oversight for the nations of Central America have asked that they be attached to the South American region Episcopal Assembly which would then leave us just the United States as the Episcopal Assembly. So that was one task: to define who we are, just geographically, what that would be. Those recommendations or desires will be communicated by the chair of our Episcopal Assembly, which now is called the North American Episcopal Assembly to his All-Holiness. And what we expect will happen is that Canada will become a distinct Episcopal Assembly, and Mexico and Central America will be removed from the North American Episcopal Assembly, and according to their wishes, attached to the South American Assembly. So, that leaves us the United States. That was our first task. But the ultimate task is to prepare the Orthodox of this region, now that we define, or hopefully will define just as the United States, to prepare the Orthodox Christians: that includes hierarchs and priests and deacons and sub-deacons and readers and laity, all Orthodox Christians of this region are to constitute itself as a canonical single Church. And to use the language that’s been floating around our country for decades: an administratively united Church. That’s one of several committees that has been prescribed for us. Even the names of the committees—we certainly can add to the list of committees—but even the names of the primary committees had been given to us. These are committees that the Mother Churches want us to constitute: a canonical committee, a legal committee, and this committee that will formulate our plan, or our vision for what the Church here in this region—as I said by that time that should be defined as the United States, I’m expecting, what the Church here would look like and how it would function. So that when we do go, and all hierarchs of the world, of course, would be invited to that Great and Holy Council, that the hierarchs from America will have adopted through the work of a committee then presented to the entire Episcopal Assembly here that we all tweak and then finally adopt, our plan, then, we would submit then to the Great and Holy Council for what we see the Church in America looking like. That’s a huge task! 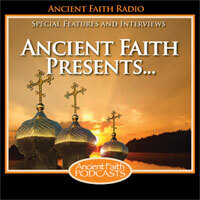 It’s something that Orthodox Christians in America—I would say the vast majority, I’m not so unrealistic to think that it’s 100 percent, but the vast majority of Orthodox Christians in America have been praying for, have been hoping for, sometimes have been working for, always talking about for a long, long, long time. It seems that it’s at the doorway. I don’t know, you know, we’re Orthodox. I’m not saying it’s going to happen next month or next year even, but it is closer today than it was yesterday. And as I said, what’s unique about this approach is that it’s something that’s coming from the Mother Churches themselves to us. It’s as if they’re saying: look, you have been asking for this. We’re getting ready to give you this, but before we give it to you, we would like to know, what is your plan? That’s really a very exciting kind of task that’s set before us. It’s a very sobering kind of responsibility and it’s one that will take prayer and thoughtfulness and patience, continued humility and goodwill, all of that, I think, topped by what covers all of that is that it’s going to require patience. I think many people were hoping that great fireworks and beautiful things were going to be announced from our Episcopal Assembly in New York City, and it was a rather quiet meeting in that sense. We didn’t have huge announcements coming out, but it was our first meeting, organizing ourselves, getting officers, setting up committees. We couldn’t even finish committees because we need to define the committees before we can ask the men, the hierarchs, to volunteer for a committee. How can they volunteer for something that they don’t know what the committee’s responsibility is? So, we have to do very basic things, and we have to do it carefully as I said, prayerfully, and thoughtfully because this is laying the groundwork for a very profound event, and that’s in God’s time and certainly by his grace, the establishment of a canonically-structured Church here in the United States. Matthew: You’ve been mentioning the committees and obviously it sounded like there are several committees, not just the committee to look at the canonical administrative unity issue. Could you maybe talk a little bit about what these sorts of committees might be doing? I know you said you haven’t defined them completely. Bishop Basil: We haven’t defined them at all. [laughter] We’ve got a list of the committees. I’ll tell you what happened during the meeting. His Eminence Archbishop Demetrios, who of course is the chair, distributed among all the hierarchs present a list of about the 10 committees that were prescribed the preconciliar meeting in Chambesy. As I said, that includes the Canonical Committee, the Legal Committee, the Pastoral Committee, things like that. They were the titles, the names of the committees, and each bishop was asked to select three that they would be interested in serving on, and to prioritize them. The committee you’d like to serve on the most, make it number 1, and then number 2, and number 3. I was able to do that, several other bishops were able to do that, but there were others of our brothers who asked questions like “what does this committee do?” What is the difference between a legal committee and the canonical committee? And they were taking it so seriously—and really I admire that in them—that they were hesitant to even prioritize their choices for committees until they knew what those committees were going to do. That wasn’t because they might sign up for a committee that they didn’t want to work on, that wasn’t the point. They wanted to be sure that they prioritized their choices for the committee that they wanted to be on the most, but they wanted that defined. That’s yet to be done. The archbishop is chair and the other officers of the Episcopal Assembly will, probably within the next week, or for sure within the next several weeks, have those defined and sent out again to all the bishops, now with brief paragraphs describing the work of each committee and then ask each bishop to prioritize their three choices. Another important committee is the Pastoral Committee. And since the meeting in Chicago, we are aware of over 20 different issues that the various Orthodox jurisdictions handle very differently in this country, pastoral issues. They are, of course, tinged with canonical coloring, but we handle them very differently and create pastoral problems for the Church here in this country. For instance, how do we handle marriage? Some jurisdictions recognize only marriages which take place in the Orthodox Church, others recognize every marriage, whether it’s a civil marriage or a marriage done in another faith group as well as those that happen in our own Church. How do we handle divorces? Some have that the actions of the civil court, civil decree of divorce, is sufficient while others have their own marital courts, church-run marital courts. What do we do about the reception of converts? Some baptize all who come into the faith, others receive some by chrismation, and even that is different because some do chrismation according to their koloyan on the forehead, the eyes, the ears, the nose, the lips, etc, etc, while other groups can receive a person simply by chrismation on the forehead, and it’s prescribed for that. Others simply by a profession of faith. What do we do when we receive clergymen most especially from the Latin Church, the Roman Church? Do we re-ordain or do we vest? Those kinds of matters will be discussed in the pastoral committee. So again, it’s a very important work that has been set before us to do. The Legal Committee will not only help the Episcopal Assembly with its own legal work, but I think its first task will be to help the agencies of SCOBA reincorporate themselves. How will they legally now change themselves from being answerable to SCOBA, which really doesn’t exist anymore, to being answerable or having oversight given them by the Episcopal Assembly. One important thing I should say about these committees is that they will not just be constituted of bishops. You know, this is the work of the whole Church. The bishops, through the Episcopal Assembly, will establish the committees and will be the first to volunteer for those committees, but we’re going to need the help and the input of all talented and interested Orthodox Christians. The Legal Committee is going to need attorneys, and it doesn’t matter if you’re ordained a bishop or a priest or a layman, we need experts in all of these areas: people, again, who come with goodwill, who come with patience, who come with humility to work for the accomplishment of that task. This is the work of the Church. It’s not just the work of the bishops. But as parents have to have themselves together before they can go to their children and make sure they’re both on the same page, a mother and dad have to be on the same page, we bishops who have been charged to be the overseers for the Church in this country, need all to be on the same page. Then we go to our flock, and not only ask and invite their participation, we expect it. It’s their Church like it’s our Church, together it’s our Church. But the bishops, like parents have to all be on the same page first. That was the purpose of that “closed” session of the Episcopal Assembly. It’s not that we did anything secret. It’s just that we needed to get our act together before we could go to the Church at large. Matthew: You mentioned SCOBA. And SCOBA, as you said, is pretty much no more. It’s been superseded. Can you give us some thoughts about both the legacy of SCOBA and also what makes the Episcopal Assembly something much different than SCOBA. Bishop Basil: At the Episcopal Assembly, His Eminence Archbishop Nicolai of the Romanian-Orthodox Archdiocese gave an overview of the 50-year history of SCOBA and its work. And when he was finished, I mentioned to the bishop sitting next to me: that was the best description of SCOBA I have ever heard. What’s a shame is that it came at the demise of SCOBA. It was really a brilliant paper presented by Archbishop Nicolai. This is the 50th anniversary year of the establishment of SCOBA: the Standing Conference of the Canonical Orthodox Bishops in the Americas. We were blessed, really, by the work of SCOBA. The work of the Episcopal Assembly was made quite easy by the 50 years that were used as preparation for that. We didn’t come together as strangers. There’s a legacy of inter-Orthodox cooperation, not only with the goodwill among the bishops, but the actual incarnating of the work of the Church under the auspices of SCOBA, its various agencies, feeding the poor, clothing the naked, preaching the gospel, and etc, etc. The Episcopal Assembly, I believe, is the natural outgrowth of SCOBA or the fruit that SCOBA bore. They can’t exist together, and it’s not because one is good or one is better than the other, just that there was a time for everything, there was a season, and there was a 50-year season preparing us for this very sacred moment of doing what it was that SCOBA had hoped. SCOBA, again, was self-constituted. It was the bishops themselves, the primates of the jurisdictions here in the United States and Canada, the goodwill that they had one for another. So there’s a big difference between the constitution of SCOBA and how it was constituted and established and the Episcopal Assembly. The Episcopal Assembly is compromised of every Orthodox bishop, just not the primates, or the prime bishops of the jurisdictions. We had 55 in attendance, or was it 56? The number is a little bit confusing. I think 55, where the maximum that would’ve been SCOBA members would’ve been eight of the eight jurisdictions. SCOBA also allowed for proxies to attend, so for instance if Metropolitan Philip could not attend a SCOBA meeting, he could send Bishop Antoun or myself or Bishop Joseph or anyone of our bishops of the Antiochian Archdiocese to represent that jurisdiction, our jurisdiction. There are no proxies on the Episcopal Assembly because we don’t represent jurisdictions. We’re there because we’re bishops, and only a bishop can be a member of an Episcopal Assembly. We’re not representing jurisdictions. We received invitations, not as members of a jurisdiction but as Orthodox bishops. We bless the memory of the founders of SCOBA. They were brilliant men, people with a lot of foresight for what the Church should be in this country, people like Metropolitan Lianti and Archbishop Michael of the Greek Archdiocese, and others. They foresaw and worked for the day that we’ve come to now, and we bless their memory. We thank those who were their successors in SCOBA who worked right up until the moment of the assembling of the Episcopal Assembly, but there’s something new now, and it’s the fruit that SCOBA bore. Matthew: We’ve heard various things, reports, about the Executive Committee of the assembly, but my understanding is that the voting is actually done by the whole assembly. Is that right? The assembly itself is where the power lies essentially. Bishop Basil: The word “Executive Committee” was not even mentioned. You didn’t hear those words at all during the whole Episcopal Assembly. What constitutes the members of the Executive Committee—there’s a lot of speculation and a lot of talk going on about it, but those words were not even mentioned at the Episcopal Assembly because it is so secondary. Its importance is so secondary, or even tertiary to the work of the assembly and its committees. Unlike what we Americans generally think of as an Executive Committee being just the officers, the chair, the vice-chairs, the secretary, and treasurer, that’s not what the Chambesy document defines as the Executive Committee. It’s that: it’s the officers, but then the heads of the Mother Churches representatives in this country. So that those who are not officers—for instance, Metropolitan Christopher is the senior hierarch of the Serbian Orthodox Church, he’s not an officer of the Episcopal Assembly, but as the senior hierarch of the Serbian Orthodox Patriarchate, he would be a member of the Executive Committee. But it’s really just for consultation, no decisions will be made by the executive committee, everything has to be referred back to the Episcopal Assembly. That’s why I believe it wasn’t even discussed at this meeting at all. I don’t want to say it’s not important because it did come from Chambesy so I assume it has some function, but you know, in the age of teleconferences and everything, we can have an Episcopal Assembly just at the drop of the hat, doesn’t mean we have to travel anywhere. All we need is telephones or a computer, and we can have the entire Episcopal Assembly. Times have changed. The voting, that’s another interesting thing that did not happen at the Episcopal Assembly. There were no votes. Everything was done—it was supposed to be done by consensus, asking everyone, how does this church feel, how does this church feel? There wasn’t even any voting by consensus. We were of such one mind that everything was done unanimously. His Eminence Archbishop Demetrios simply asked if there was any objection to the item being discussed. If there was no objection, there was no need to even ask for a consensus. Everything was done unanimously. It was really a very God-blessed assembly, a fruitful time together. It’s by God’s providence, I believe, honestly, that it was convened during the week following Pentecost. As I said, the goodwill was palpable. The love was palpable, the joy was palpable, and those are gifts of the Holy Spirit. Matthew: At the assembly, you were obviously elected secretary, and I have understood that you’re not just taking notes and minutes of the meeting. You’ve got a bit more of a role than that. Could you maybe talk about your role and then the Secretariat that you’ll be working with? Bishop Basil: I’m sort of discovering day-by-day. Yeah, the first three officers, the chair and the two vice-chairs were done by the diptychs and the presbia or the seniority within those diptychs, so that the first church among the diptychs is the Church of Constantinople, and the first hierarch of the Church of Constantinople became the chair. That’s Archbishop Demetrios. The second church in the diptychs is the Church of Alexandria. Well, we don’t have that in America, so they went to the third church in the diptychs which is the Church of Antioch. Senior hierarch of the Church of Antioch in the new world is His Eminence Metropolitan Philip so he’s the first vice-chair. After that comes Jerusalem. We don’t have Jerusalem in this country. Next in the diptychs comes the Church of Russia and the first hierarch of the Church of Russia in this country is the newly appointed Archbishop Justinian. So he was second vice-chairman. So the first three positions of the officers were done by the diptychs or the order of the Churches, and by the presbia, there’s seniority within those diptychs. The other two officers, the secretary and treasurer were done as we would do, like Robert’s Rules of Order, sort of an American style. The Archbishop made a nomination, Archbishop Demetrios nominated myself to be secretary. It was seconded by Metropolitan Philip I believe. The archbishop asked if there were any other nominees, and not being any other nominees, I was elected by acclamation. The same thing happened for His Eminence Archbishop Antony of the Ukrainian Church. He was nominated by treasurer by Archbishop Demetrios. He was seconded, again I believe it was by his primate, Metropolitan Constantine, and the archbishop asked if there were any other nominees. There were none, and he was nominated by acclamation. The responsibilities of the secretary are more than just taking minutes. That would be nice if it were just taking minutes. [laughter] I understand, and I’m understanding more and more every day that it will—its prime responsibility of the office is to oversee a Secretariat and an entire staff, whether it’s one or two or three persons. It certainly won’t be an enormous secretariat, but that does the work of the assemblies, that spurs on the work of the committees. It seems that which will be communicating not only among the hierarchs itself, keeping the hierarchs informed of the work of the assembly that is being accomplished, but the entire Church involving all the clergy and lay people, setting up a website, making sure all the documents that have been issued for or by the assembly are available for everyone to see so there’s no secrecy in anything. Because again, it’s the work of the Church, the body of Christ, which is all of us. Certain tasks, again, were given to the assembly by the preconciliar committee in Chambesy, and the Episcopal Assembly gave it over to the Secretariat to do that. We’re going to have a database of all the Orthodox hierarchs in America which doesn’t exist right now. That will be easy because there’s like 55 of us. The more difficult is going to be a common database for all of the Orthodox clergy, the higher clergy, the priests and the deacons. That’s something that needs updating, probably weekly, not only because of deaths but because of new ordinations, because of suspensions, because of depositions. And beyond that, we were mandated to create a list of all the Orthodox congregations, all the Churches and missions, and that’s another thing that will have to be updated rather frequently. Hopefully not because anything is closing, but because new ones are being established all the time. That’s all the work of the Secretariat, not the secretary (me), the Secretariat. [laughter] And it will be daily work because I honestly believe that we have not a lot of time to get all of this accomplished. As I mentioned earlier, once the Great and Holy Council is convened, the work of the Episcopal Assembly and all of its committees really is done. At least that’s the plan now, and not our plan, that’s the plan of the Mother Churches, but at that time, various either autocephalous or autonomous Churches will be established in these now Episcopal Assembly regions, that’s what we’re called now, around the world and that those hierarchs which prior to that moment constituted themselves as an Episcopal Assembly will become a Synod. That’s what’s foreseen, and there’s a lot of work that needs to be done before that time whether it one year or whether it’s 10 years. That’s what’s on everyone’s mind. How long of a timetable do we have? I don’t know, and I don’t know that anyone knows. Whatever it is, it’s shorter than we thought it was because the Mother Churches are moved now by the Holy Spirit. The time is here, and the time for us talking about it and complaining “how come it’s not happening”, and everything that’s been going on for these past decades here in America, it’s not time for that anymore. It’s time for all of us to get the work and do it, and again, to do it with goodwill and love and patience and humility. Matthew: Thank you very much, Syedna. Do you have any final thoughts that you’d like to offer before we close this interview? Bishop Basil: I’m so excited about this. Really, I’m very excited, and I hope our clergy and people can be joyfully excited with their hierarchs. We need everyone to help in this. As I said, the bishops now have met. We’re all on the same page. We might not know all the writing on the page, but we’re all on the same page, and we’ll discover what’s written on that page as time goes by. I have my diocesis in conference next week. The very first evening I’m going to share all of this with our clergy and more. Your questions were rather specific. I have more things, even, about the Episcopal Assembly I’ll share with all of my clergy and their wives that very first evening, inviting their help and their participation, their ideas, the offering of their talents. And the very next night, I’ll present the thing to the work of the Episcopal Assembly in my assessment of it to our entire diocese, to all the lay people, from church-school children all the way up to senior citizens, parish councils, ladies groups, teen groups, choirs, so that everyone in our diocese will be apprised and will have the invitation to help in this. I hope everyone accepts the invitation. As I said, when you accept though, you have to come with goodwill and patience and love and humility. This is an offering to the body of Christ, and we need to do it with pure hearts, with joyfulness, and with a spirit of sacrifice. Matthew: Syedna, thank you so much for your time and for telling us all about the assembly. And we will look forward in the coming weeks and months to getting more information and seeing the website that the assembly will launch and learning more about what we can do to help the work of the Episcopal Assembly.